These aren’t your Grand-Daddy’s Caricature Artists! Wow your guests with this update to a classic fave. These artists use the latest technology to bring a very interactive entertainment to your event. Using digital tablets, color printers, and TV’s, everyone can see the Caricatures as they come to life from across the room. Your guests will get instant 4x6 prints with your logo or any verbiage you'd like printed on the bottom. 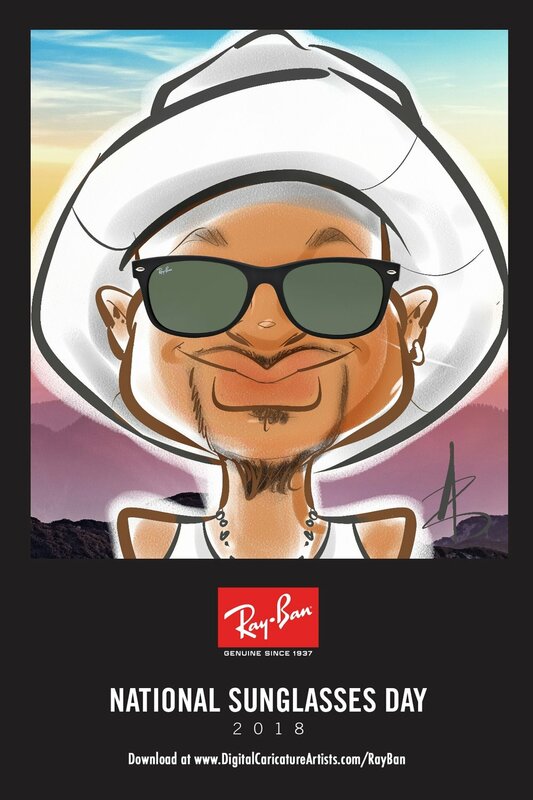 We will load all the caricatures to a webpage for easy viewing and downloading after the event. The URL for the webpage will be printed at the bottom of the caricatures so that everyone can easily access the webpage. 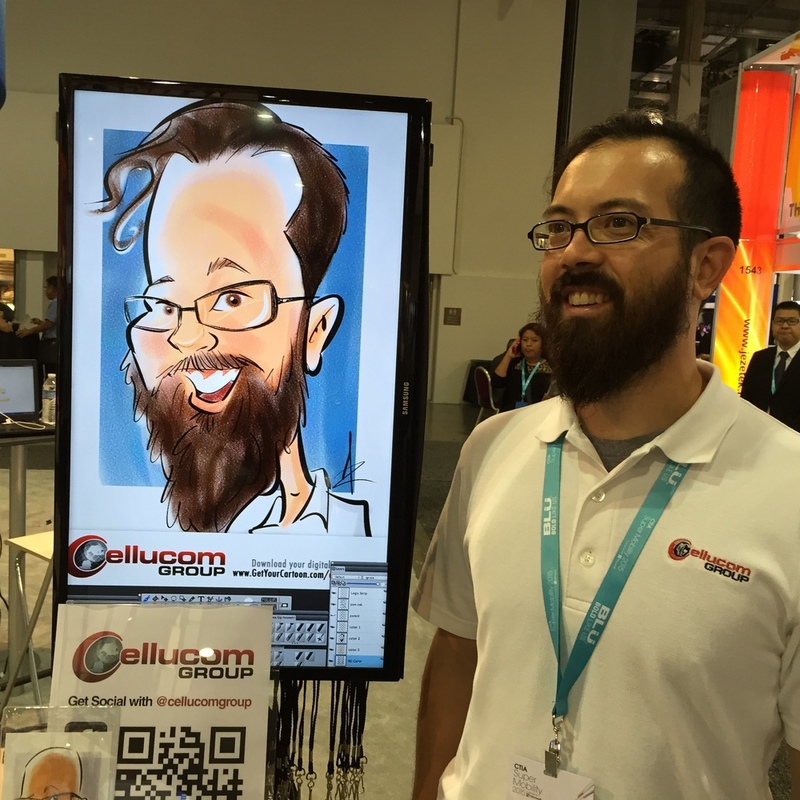 On average, our Digital Caricaturists can draw 8-10 people per hour in full color, 10-12 people per hour in black and white with a splash of color, or 12-15 people per hour in black and white. Social Media Kiosk to allow guests to instantly email the the caricature to themselves, using a customized message from you. Email includes FaceBook and Twitter links to encourage posting on these outlets. 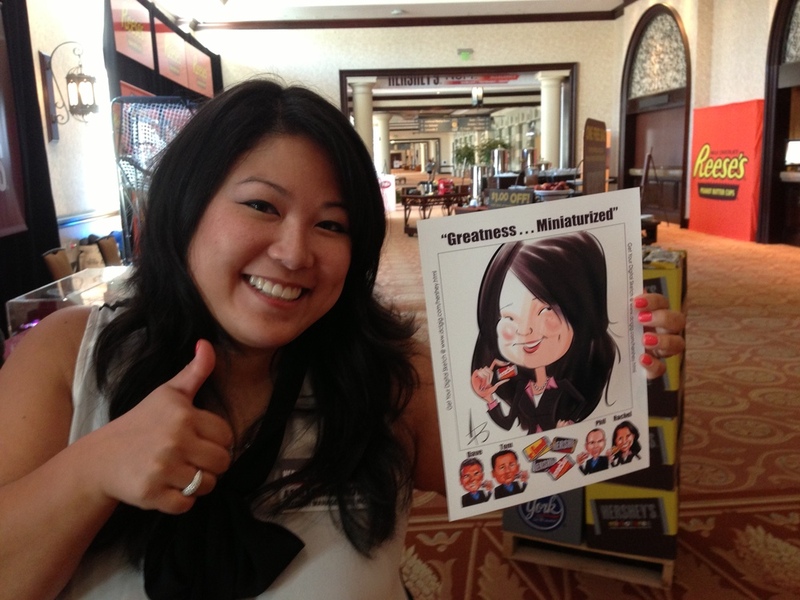 The Social Media Sharing Kiosk* allows your guests to instantly email their Digital Caricature to themselves. Emails are customizable for your event, with plenty of space for any verbiage you would like to include. Embedded within the email are links to Facebook and Twitter to encourage your guests to post their caricature on social media. It can also be used for lead generation, by providing a list of all email addresses collected during your event, that we can make available to you upon request for your marketing purposes. *NOT all Digital Artists are equipped with Social Media Kiosk. If this is a desired feature, please let us know so we'll make sure we have artist(s) equipped with this for your event. **Wireless internet access will be required for this feature and we'll provide mobile hotspot, but that doesn't always guarantee internet connection. TRY IT WITH A TWIST! Looking for something a little different? 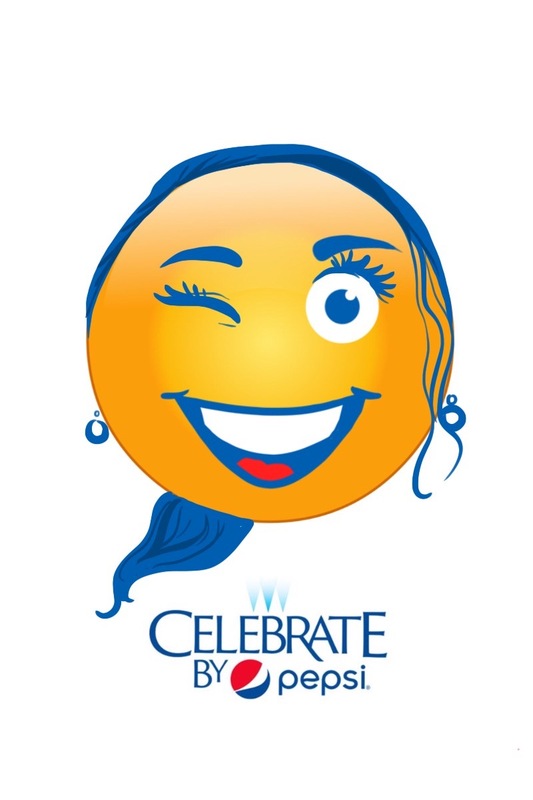 How about Tiki Caricatures, Superhero Caricatures, Comic Book Caricatures, or Emoji Caricatures? Or perhaps Fashion Sketches or Product Promotions? We can also make custom backgrounds to fit the theme of your event. 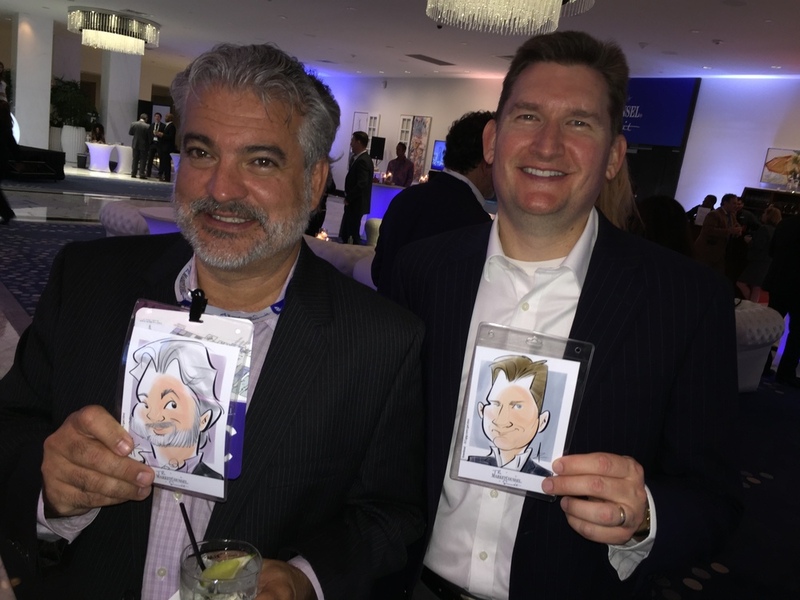 Combining our Digital Caricaturing and video conferencing technology powered by BlueJeans, allow your guests to get drawn while interacting with a live artist remotely at your next event! The artist, working from his own studio in his own city, state or country, will engage with your guests while drawing them. 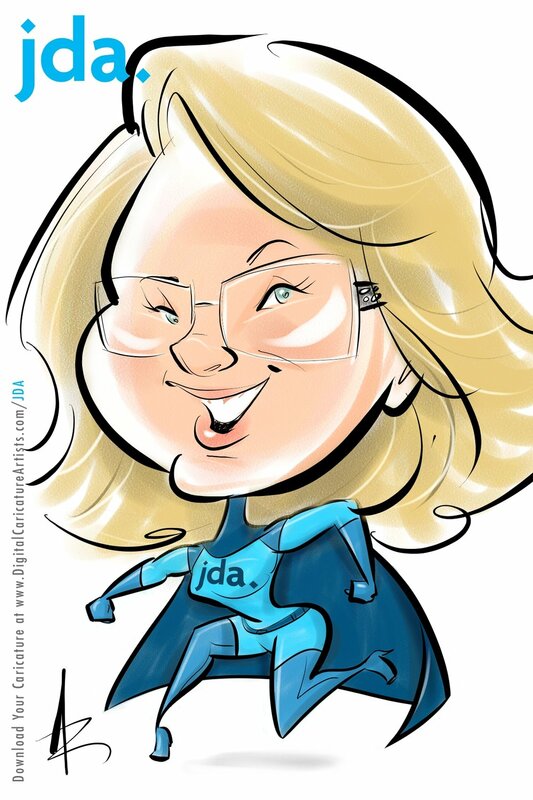 Your guests will see both the artist and the caricature unfold in front of them. We're constantly developing and updating the Caricature Kiosk design, adding new features to improve your experience. 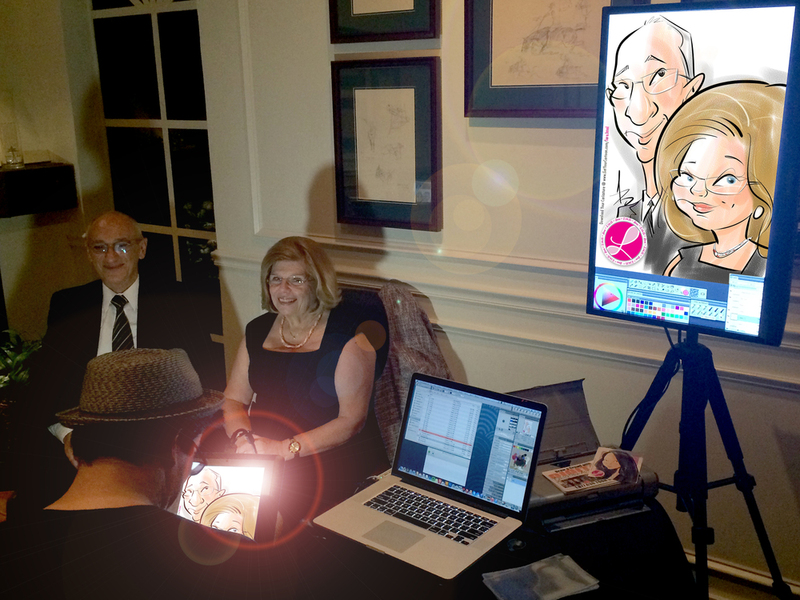 Caricature Kiosk is currently a table top kiosk, easy to setup at your event that you can have guests stand or sit in front of. We recommend having the Caricature Kiosk connected to a strong WiFi network at your event location, although we do include a mobile hotspot with each kiosk as a back up. Don't hesitate to ask us for more details or to provide you with a quote for your next event! • Table top kiosk will be shipped to you for your event. 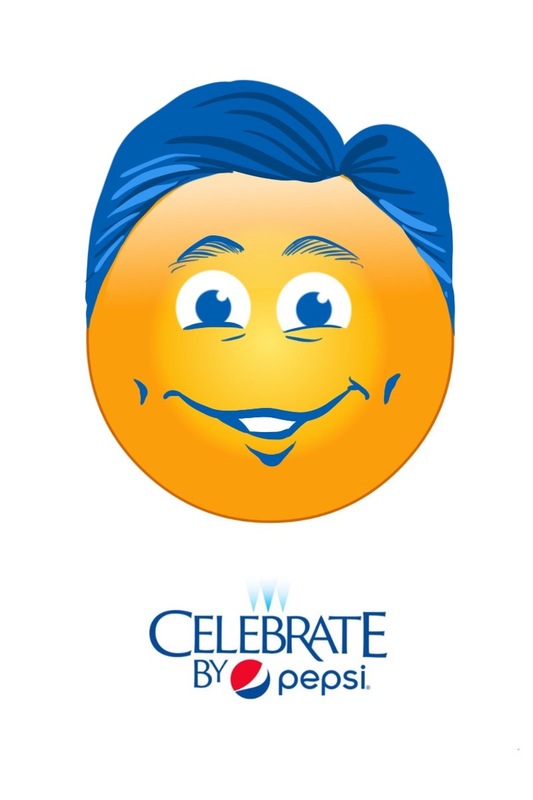 • Caricatures will be loaded to a webpage so that guests can view all of them and download their faves. 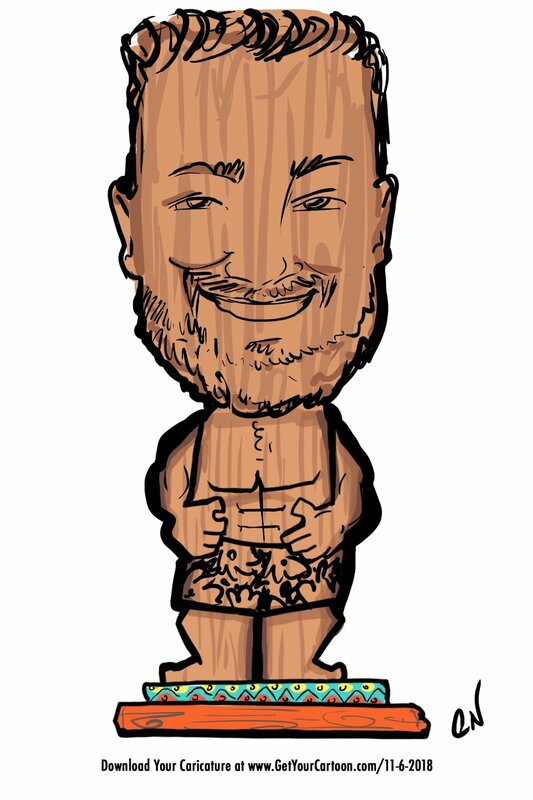 • Caricatures will have your logo embedded on the bottom. • 3 hour minimum required. • A representative will be available to help you trouble shoot via a phone call. Please note, you will need an attendant on site to set up the kiosk and guide guests to it. * If you want the caricatures printed, your attendant will need a separate laptop connected to a printer. They can print from the shared DropBox folder. We can send you a printer, paper, ink, and badge holders and lanyards for an additional $500, but you will still need your own laptop to attach to our printer. • Our attendant travels to your event, sets up the equipment. 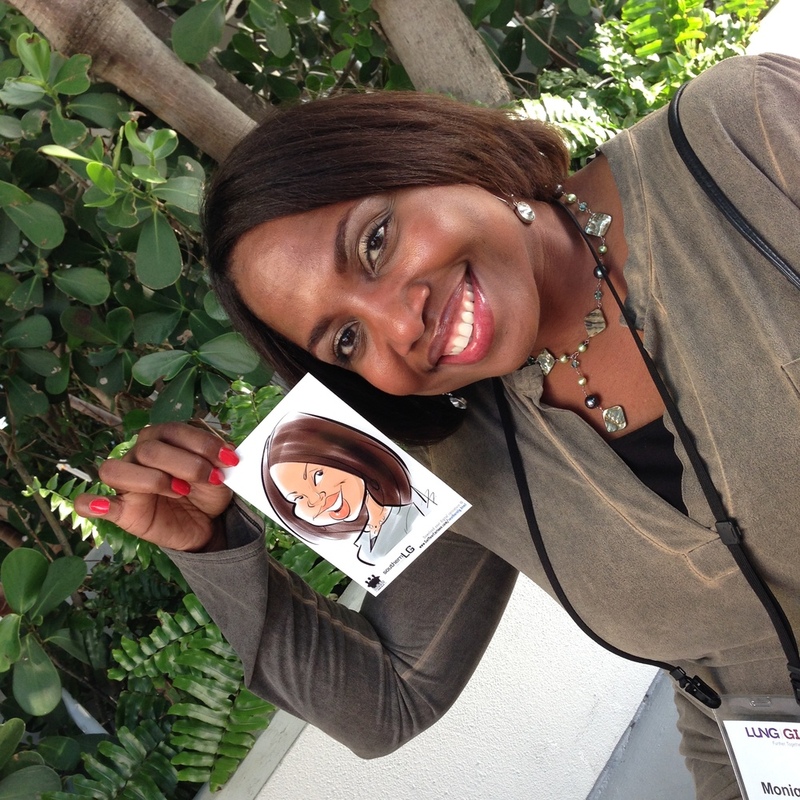 • Our attendant says onsite during the event, engaging guests, and drawing them into your booth. • Equipment includes table top kiosk. • Full printing services with badge holders and lanyards. Prints are 4x6. 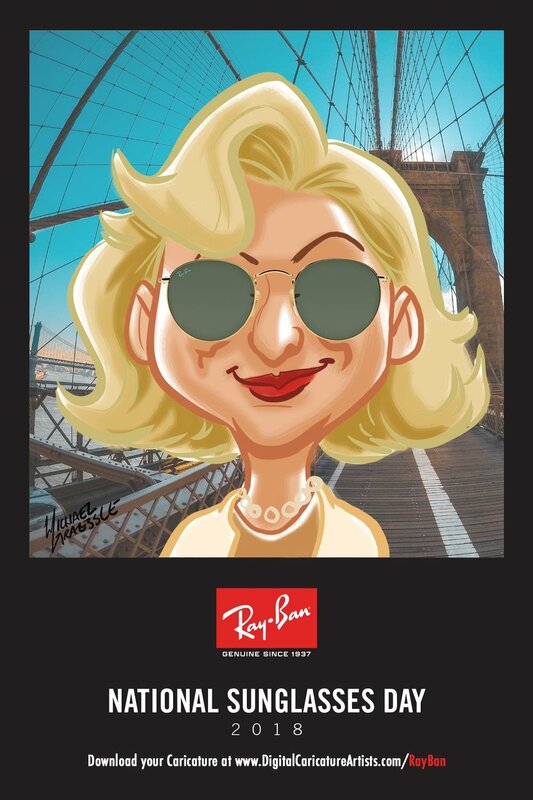 • As a bonus, we include the Social Media Kiosk, which allows guests to instantly email the caricature to themselves with a personalized message from you. At the end of the event, all email addresses collected by the Social Media Kiosk will be given to you for your marketing purposes. • Up to 8 hours of service each day. • Set up your own laptop/tablet with webcam, audio, wifi. • We will share the software with you. • 2 hour minimum required. • A representative will be available to help you trouble shoot the software via a phone call. Please note, you will need an attendant on site to guide guests to the station that you created. • Client must provide their own attendant to setup the equipment and engage with guests, unless you choose Option C.
• Whether using your own equipment or ours, you will need a cocktail table and stool for the equipment and guest comfort. • Wifi For smaller event spaces. 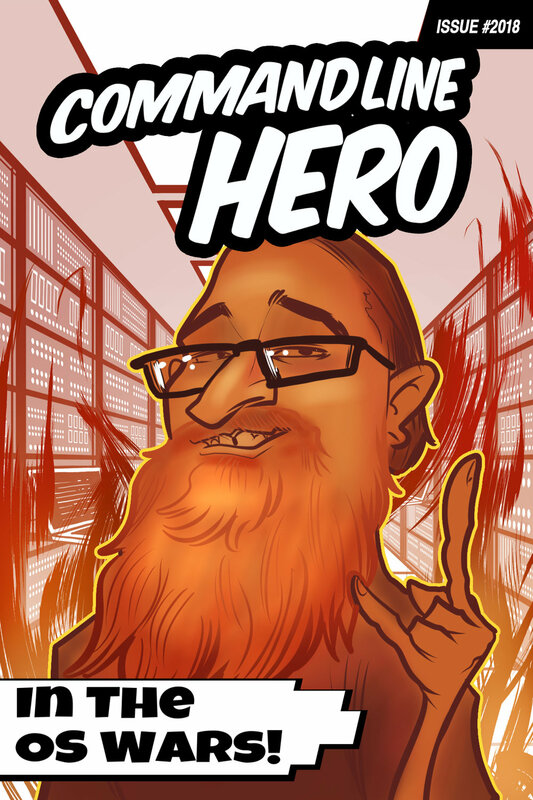 *Up to 4.5Mbps Bandwidth Utilization. • US shipping address is needed if we are renting our equipment. Someone must be at location to sign for delivery. • Client is Responsible for receiving, setting up, returning Kiosk(s), unless you choose Option C.
• Client is responsible for Kiosk and accessories while in possession. Replacement Fee $2500 if lost or stolen. • Client must use return shipping labels included in box and send Kiosk via Fed Ex and Insure them at Kiosk $2,500, and Printer $500, unless you choose Option C.